The PanoClip comes in a white color, rectangular box that’s slightly wider than the iPhone X and about an inch and a half thick. On each of the long sides is a lens, and in the bottom is a slot into which you insert the iPhone. 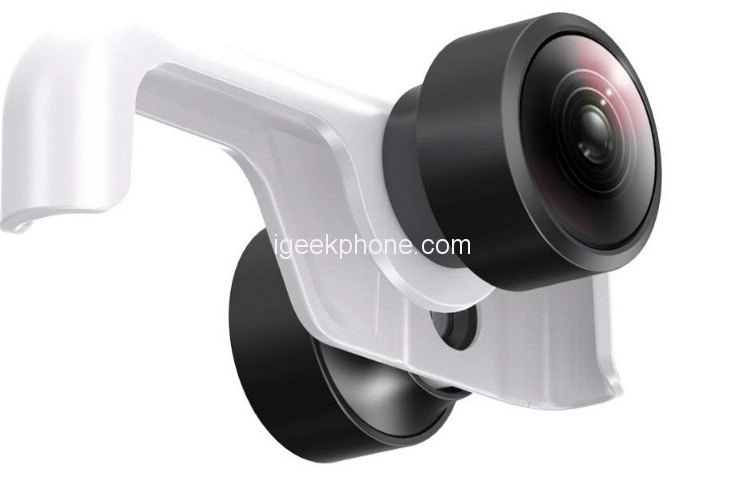 Once the phone is fully inserted, the PanoClip’s two lenses correspond to the front and rear cameras on the iPhone. It’s a clever idea. PanoClip’s free app (which you need in order to use this accessory) takes a photo from both of the iPhone’s cameras in quick succession and then stitches them together. From the App, you can add stickers and filters, and then share the photo in a variety of formats, such as a standard 360-degree photo or an animation that slowly pans the camera. PanoClip’s app also lets you view 360-degree photos and videos taken by those who own the PanoClip as well as Insta360 cameras. 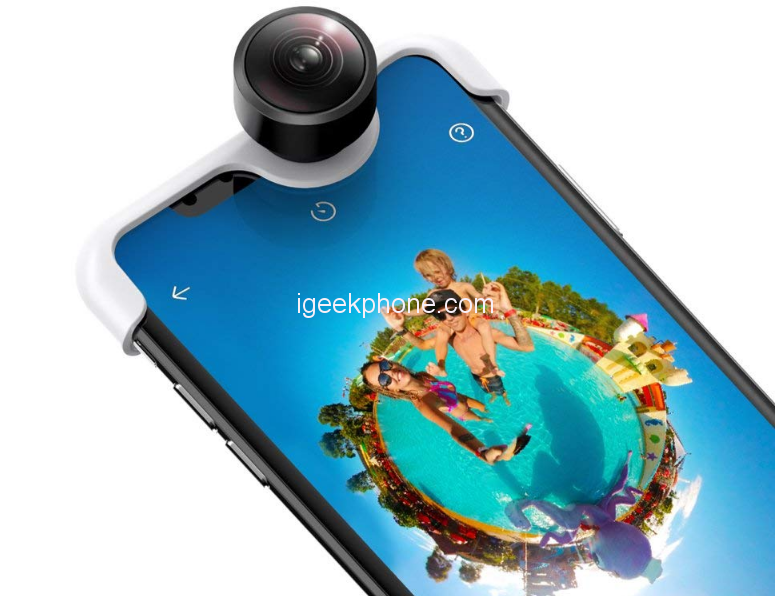 The PanoClip Snap-On 360° Lens is compatible with Apple iPhone X and is currently available on DD4.COM for just $43.11.